Add a little holiday cheer to your calendar when you attend a concert, show, or live performance around Virginia this season. 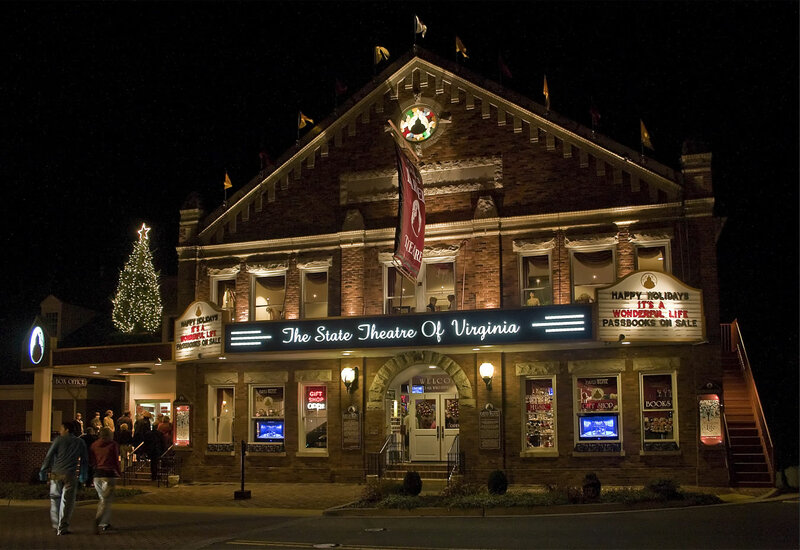 Take the kids to see the story of Rudolph set to seasonal hits, witness pyrotechnics and fireworks choreographed to a live show, or even join your favorite Virginia college orchestras and marching bands as they perform traditional holiday songs. Fill the entire family with the spirit of the holidays and make plans to see these festive performances around the Commonwealth. Come and enjoy this retelling of the beloved Christmas movie classic, A Christmas Story. Watch as Ralphie overcomes some hurdles (that darned freezing flagpole) and see if he gets what’s first on his Christmas list. This show is fun for the whole family. Take the kids to the Barter Theatre’s “Rudolph” for a night they won’t forget. With shows starting on November 28th and running until December 20th you’re sure to squeeze in a viewing of this holiday tale. A Colonial Christmas at Jamestown Settlement gives visitors the chance to experience holiday traditions, period musical entertainment, and 17th and 18th century festivities— like setting a farmhouse table for a holiday feast. Festivities kick off on December 1st and last throughout the month. Held each year in City Center at Oyster Point, Hollydazzle combines synchronized fireworks, theatrical lighting, and impressive pyrotechnics during a live performance choreographed to these dazzling special effects. The kaleidoscope of colors reflected off the surface of the park’s five-acre foundation will bring wonder and awe to visitors of all ages. The event draws over 30,000 people to the area each year and includes free children’s activities and holiday performances throughout. Celebrate the Holidays with the Hoos as University of Virginia’s 320-member Cavalier Marching Band teams up with 400 high school student musicians from all around Virginia to perform at John Paul Jones Arena. They’ll play everything from UVA school songs and football halftime favorites to timeless holiday classics, and will be featuring several surprise guests and performances during the show. Escape to the beach for the Nutcracker. You won’t want to miss this timeless classic, performed with a live orchestra. After the sugar plum fairies and nutcrackers take a bow, head to The Royal Chocolate in Virginia Beach Town Center for a sweet treat. JMU’s choral ensemble and Symphony Orchestra presents Holidayfest: Believe, held at the Forbes Center for the Performing Arts in Harrisonburg. The groups perform an array of classic holiday favorites, and the event also includes a special holiday reading and presentation based on the book and film “The Polar Express”. Bring the kids and arrive early for the December 3rd show to enjoy crafts, cookies, and hot cider in the Grand Lobby. Northern Virginia’s very own pops orchestra welcomes the holiday season with their annual family concert, a Pops Orchestra performance filled with joyful carols and the cherished classics, including selections from Tchaikovsky’s “The Nutcracker”. The seasonal show concludes with a stirring sing-a-long in which the audience gets a chance to share in the memorable holiday experience.